Quiet fireworks — it sounds like an oxymoron. Usually those bright bursts of color come with equally impressive bangs. But some fireworks shows are designed to please the eyes without pummeling the ears. In parts of Europe, quiet fireworks displays have grown increasingly common. In Britain, venues close to residents, wildlife or livestock often permit only quiet fireworks. 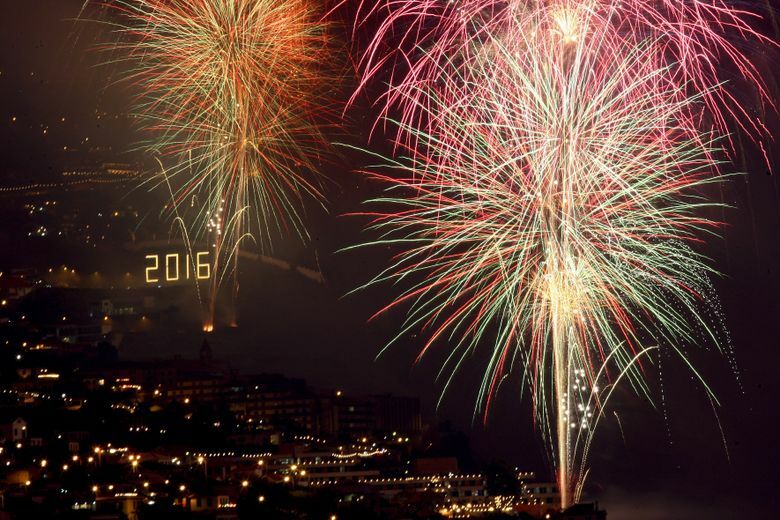 One town in Italy, Collecchio, passed a law in 2015 requiring fireworks displays to be quiet. By relying on rich color effects and tight visual choreography, designers of quiet fireworks programs can forgo the big explosions and deliver a stunning show. The hope is that softer celebrations mean less stress for noise-sensitive children, veterans, older people, pets and wildlife. Quiet fireworks are not new. In fact, they are used routinely in classic fireworks shows as visual effects to accompany the loud bangs. Think of the “comet tail,” which shoots into the sky with a trail of sparkles before quietly fizzling out. Or the “flying fish,” which features tiny tadpole embers scattering away from a silent burst. What is new is the emergence of a genre of low-key, quiet fireworks displays for audiences that want the fanfare of fireworks without the auditory disturbance. From a strictly visual standpoint, there are pros and cons to a quiet fireworks show. Because they do not include big aerial explosions, quiet shows cannot entertain a large audience, said John Conkling, a professor emeritus of chemistry at Washington College in Maryland. As a result, traditionally big shows — like those on the Fourth of July — would need to be divided into smaller viewings. Quiet fireworks can, however, be more colorful. The colors in a firework are packed in pellets called “stars.” When certain chemical compounds are heated, they emit signature colors to get rid of their excess energy. For instance, barium compounds emit green, red comes from strontium, and blues are made with copper. After a firework explodes, its pellets ignite, burn and generate color as they float through the sky. If that initial burst is too powerful, however, the stars shatter and “you really lose the whole color effect,” Conkling said. The most explosive fireworks, in other words, have only a hint of color. The real promise behind quiet fireworks, however, is the possibility that they could reduce the harmful effects of traditional fireworks, which include stress on animals and damage to people’s hearing. Fireworks can cause birds to panic and flee en masse, said Judy Shamoun-Baranes, a geoecologist at the University of Amsterdam who has studied the effects of fireworks on birds. In 2011, 5,000 red-winged blackbirds fell out of the sky in Beebe, Ark., after fireworks celebrations on New Year’s Eve, possibly because the loud noises led them to fly into chimneys, houses and trees. Loud fireworks also scare larger mammals like deer and coyotes out into roads, where they can get hit by cars, said Lisa Horn, executive director of West Sound Wildlife Shelter in Washington state. Horn’s Bainbridge Island shelter sees an influx of animals after July 4 each year. July 5 is “always all hands on deck,” she said. Pet shelters also claim to take in the most runaway dogs each year on July 5. For people, loud fireworks can lead to hearing loss. The World Health Organization lists 120 decibels as the pain threshold for sound. Fireworks are louder than that. Children are more vulnerable to hearing loss from fireworks, Williams added, because they are more sensitive to loud noises. Quiet fireworks are not completely silent, but they are nowhere near the 120-decibel cap placed on consumer fireworks in Britain, said Paul Singh, director of Epic Fireworks in England. The fireworks he uses in quiet shows are softer than the music he plays to accompany the visuals, Singh said. His company has done quiet fireworks shows for school groups, senior-citizen homes and venues near easily spooked animals like horses. For now, it is safe to say your fireworks shows this July 4 will not be shy on the sonic front. Quiet fireworks have yet to make their way to the United States.